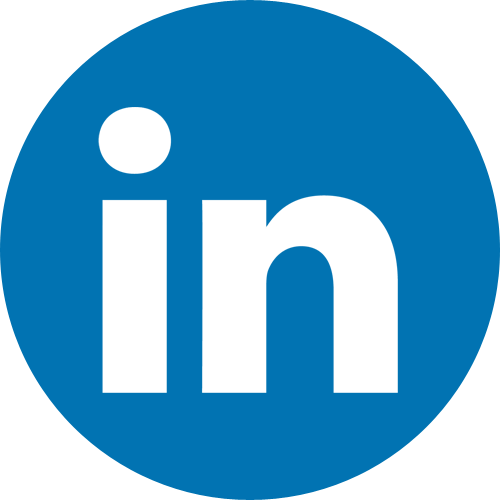 Do you manage a blog or maybe you have a popular social media account? And are you also thinking of ways that you could get paid to promote products? If this sounds like you, then this article is exactly what you’ve been looking for! When creating this post, we decided to throw in a bit of a mix. We made sure that the programs to help you get paid to promote products were interesting and unique. Therefore, they would attract much attention when you try to sell them to your own followers. 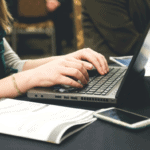 Now let’s dive right into today’s affiliate marketing guide. Take a look below at the affiliate programs that we will be covering where you can get paid to promote products. If you want to jump straight to a specific section – then click on the program link. A man cave is not complete without man cave goodies. So, in the name of maculating men in all their man cave glory, Toyz For The Boyz has cool gifts for men and all things man cave bling. From neon signs to personalized bar signs, you will certainly make the man in your life happy this holiday. So the first program that helps you get paid to promote products is offering a 12.5% on every sale that you generate. But before you can start promoting these products, you need to register as an affiliate of Toys For The Boyz. This holiday, our creative ability is put to test- as far as buying gifts for our loved ones. Let’s admit it, we’re not all gifted with the creativity to get the most meaningful presents. In fact, this is actually a stressful task for many of us. If you’d like an easy escape from this responsibility, then you need to click on over to Sorta Stuff and check out their custom gifts. 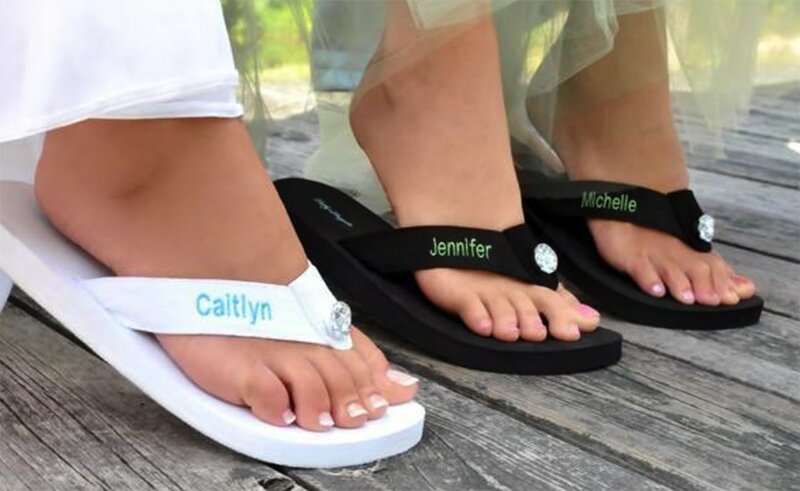 Seriously, putting the name of your loved one on simple items such as slippers, mugs and anything really will immediately make it meaningful. You can also check out their gift baskets and other gift categories too. Affiliate marketers earn commissions of 15% for every sale. So apply now to join Sorta Stuff’s affiliate program. Smoking enthusiasts can merrily immerse themselves in clouds of satisfying vapor flavor this holiday. Whether you enjoy this pastime alone, or you have friends that will jive to this vibe with you – Smokazon has premium quality smoking gear and accessories for you. From pen and desktop vaporizers to grinders, you’ll find products to get the best out of your smoking experience. I trust that the smokers will be pretty huffed – oh I mean chuffed. Want to get paid to promote these smoking products? Then you need to apply here to become an affiliate of Smokazon. An owl lover will love you this holiday. Because all you need to do is give them some owl love and they’ll be happy. Yes, you should see how their face lights up when they see anything owl related. The owl gifts that you’ll find on Owl Love You are as mesmerizing as the bird itself. The perfect gifts for owl lovers. 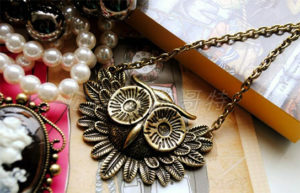 From jewelry, bags and other merchandise – you’ll find charming owl themed products. Affordable stuff – from under ten bucks. This love for owls will get you earning 15% commission on sales. So apply here to become an affiliate of Owl Love You. This holiday, herbal enthusiasts will excite over Magical Butter. 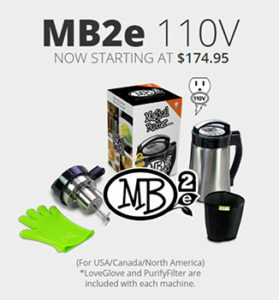 Known for the MagicalButter Machine that can grind, heat, stir and steep your herbal extract for your ultimate herbal recipes. From herbal butter, oils, tinctures, soups, sauces, skin care products, pet medicines and lots more. If you want to make a magical $35 commission on every sale that you introduce to the business? Then you should become an affiliate of Magic Butter immediately! 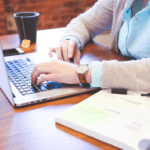 If you want to know more about how you can get paid to promote products and boost your blog income – then go read the latest LeadDyno infographic about affiliate marketing strategies. From time to time, some of us humans like to look cool – and we like things that make us look cool. Oh, and don’t you just feel so much of awesomeness when you’ve given someone a cool gift? It’s a status thing. So if you want that coolness factor, then you should get trending products from Zohify. Get hot stuff like a whimsical Harry Potter antique carved wooden music box, an enchanting dragon luminous ring, a wacky LCD gun alarm clock and more. Trending products are always a sure thing when it comes to deciding which programs will earn you money. So start making 15% on sales by becoming an affiliate of Zohify. I must admit, I’m not an enthusiastic iPhone case lover that feels a need to get a new phone cover every other month. I pretty much go with whatever will keep my phone protected and live with that forever. But, that’s until I came across Supply Square. I was completely sold by their cool simplistic range in popping vibrant and pastel colors. And for those that are cover enthusiasts, you can go all the way with their other collections: fabric, marble, glitter, leather-look, matt – heck, and even fur. Start earning money by promoting products Supply Square’s products. As a member of their affiliate program, you can make 10% in commission for all sales that come from your promotional efforts. Happiness often comes in the little things. A little bit of positivity in your day will go a long way. DYB | Do Your Best will give you that positivity. 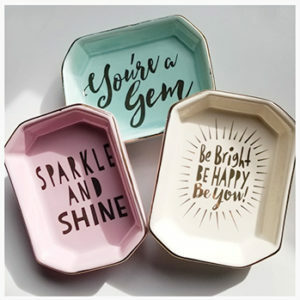 How amazing is an inspiring trinket box with “sparkle & shine”, “you’re a gem” and “be bright, be happy, be you” scripted on? Treasured prayer box necklaces, script keychains, and inspirational makeup bags are some of the other amazing positive-minded products you’ll find at DYB | Do Your Best. 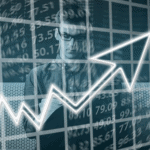 This affiliate program may be offering the lowest commission rate of the day (a mere 5%), but the uniqueness of the niche means greater interest. So by affiliating with DYB | Do Your Best it is possible to push higher quantities for increased profits. If you like surprises, then the VIP Mystery Box from Whats in the Box? is something for you. It’s only $7. I have no cooking clue as to what you can expect – after all, it is a mystery box. But if surprises don’t rub you the right way, then you can play it safe and shop their range of trending products. 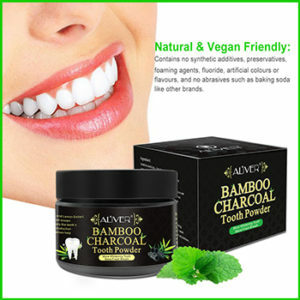 Get stuff like a teeth bleaching kit, charcoal whitening powder, a whitening dental lamp and more. Check it out and surprise yourself, or not. The contents of the boxes may be a mystery, but as for affiliate marketers – they will earn commissions of 10% on every sale. To get started, apply here to become an affiliate of Whats in the Box? Imagine the horror of being stranded with no drinking water and no food when exploring in no man’s land. Leave nothing to chance – be equipped to survive with survival gear from Alpha Preppers. No drinking water? No problem! 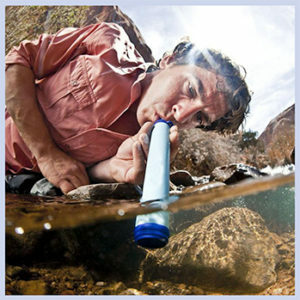 Because you can get a survival straw water filter that filters out 99.9% of waterborne bacteria from any water source. No food? No sweat! Catch the meal of the day with their handy survival pen-sized fishing rod that unfolds into a 3-feet long rod. Oh and an 11-in-1 credit card sized multi-tool will bail you out when you need a knife, can opener, screwdriver, spanner, ruler or even saw. These survival products will help you, as an affiliate, survive on a steady side income by earning 10% on every sale. Get started now by becoming an affiliate of Alpha Preppers. Don’t forget – if you’re enjoying this guide – we have so many more affiliate programs that you can register with to get paid to promote products. When the going gets tough, add some inspiration to your life every month with Butterfly Box Boutique. 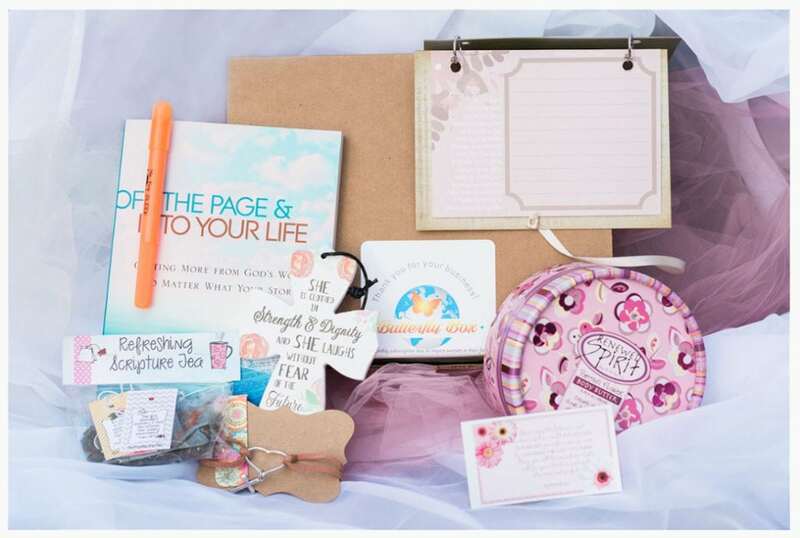 Encouraging women in their Christian faith, Butterfly Box Boutique sends out a box every month full of treasured goodies created around a specific theme or scripture. Items in the box include books, stationery and thoughtful gifts to uplift you – something you could perhaps share with your loved ones too. Butterfly Box Boutique donates 10% of proceeds to their chosen charity, BEAM Kenya. Instead of – you get paid to promote products – it’s more like, you get paid to promote sign-ups. All registered affiliates of Butterfly Box Boutique earn 10 bucks for each person they get to subscribe. If there’s any way to buy your customers’ love and trust, it’s through giving away promotional products. Imagine the pleasant surprise your customers will experience when you pop in a free gift into their order. For a wide range of promotional products and solutions, you must check out Product Palace. From clothing, office, tools, electronics and more. How awesome would your brand name be on a cute MP3 player from only $2.73? The low prices of products have meant that these guys have had to keep commission rates down too. But everybody loves a good discount, so sign up now to become an affiliate and get your 7% share on each sale. Are you struggling to find the men in your life the perfect gift? A gift that they will actually appreciate. But sadly, socks just won’t cut it. Take a breather. 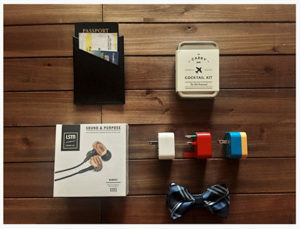 Because at A Gentleman’s Trove, you’ll get quality gifts for the modern man – unique gifts that will be adored and appreciated. Like the jet-setter kit that has all the essentials for travel. More gift boxes are available for gear, grooming, man cave and sports. All seem pretty sophisticated looking. Think you have the perfect medium to promote these gifts for men? Then we suggest that you apply now to become an affiliate of A Gentleman’s Trove. To capture the perfect picture, a photographer kinda has to be an obsessive perfectionist. Perfect lighting, perfect timing, and the perfect angle. Any experienced photographer knows just how much equipment goes into “behind the scenes”. 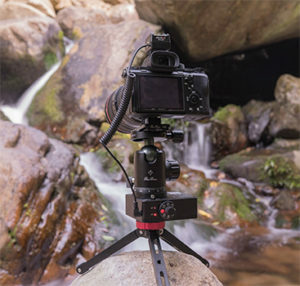 To help simplify things for the photographer on-the-go, Move Shoot Move offers a SiFo Passive Motorized Pan/Tilt Rotator. This nifty compact and portable device will help you capture perfect angle pictures. A must-have in any photography kit. And for all you photography influencers here’s your chance to make money by promoting something that you love. Once you become an affiliate of Move Shoot Move, you will earn 15% commission everytime you introduce a sale to the business. Now let’s take a look at the last affiliate program where you can get paid to promote products. Add a little happiness to your life with unique products from Centrix Shop. Whether you need to solve common household annoyances or just create smiles from time-to-time, then you’ll be pleasantly surprised when you discover some of the most unusual yet super-cool products from Centrix Shop. 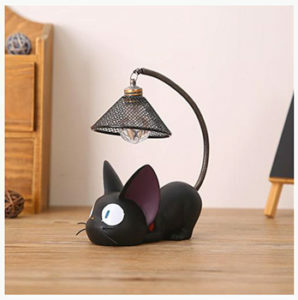 From an electric mosquito killer that you’d never imagine a super cute black cat night light that will create unexpected warmth in any room. Oh, and every coffee lover needs a mini coffee maker when on-the-go. I feel happy already, don’t you? As an affiliate, you get to feel happier by applying here to become an affiliate of Centrix Shop. Then promote their products on your website and receive 15% on each sale! So what did you think? Did you find any affiliate programs that you can join to get paid to promote products? 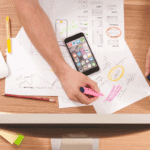 Then let us know about your affiliate marketing successes and be sure to read our previous guide, Highest Commission Affiliate Products to Promote.